Includes a folded paper with background, lyrics and comments. Great LP with strong melodies and fantastic musicians. 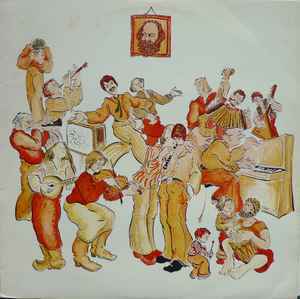 Sometimes the Swedish left music scene from the 70s gets criticized about being more political than musical. Here it's not the case. Absolutely killer songs with touches of both Swedish and other folk music influences. Listen to Söner Frågar Fäder or Catherine and witness the blend of nordic melancholy and choiresque pop music at its best.